Anderson’s Air Conditioning are a family run business that specialise in air conditioining and heat pump system installations, service and maintenance. Now has never been a better time to have air conditioning or energy efficient heat pumps installed whether its for business purposes or domestic situations. Anderson’s offer Air Conditioning installations, Heat Pump Installations and Domestic and Commercial Central Heating units covering the whole of the North West for air conditioning installations and nationally for air sauce heat pump installations. 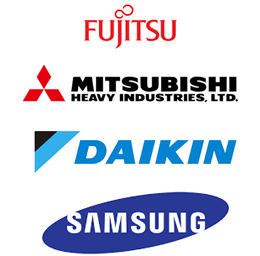 We provide the highest product specification from leading manufacturers of Air Conditioning Equipment including Mitsubishi, Fujitsu, Samsung and Daikin and pride ourselves in our installations, maintenance and servicing to a very high standard. 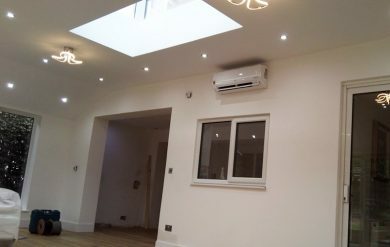 Andersons also supply and install heat pump systems that can provide you with not only a complete heating system but also hot water and cooling in summer. Whether it is air to water or air to air system that you require, we can design a system to suite your every need. 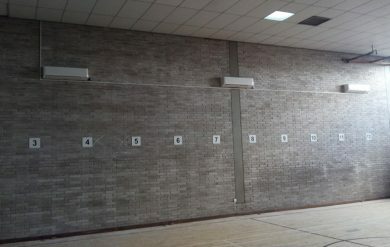 We carry out such installations all over the UK in shopping centers, retail outlets, restaurants, bars and offices. Air source heat pumps are ideal if your property does not have a gas supply and is relying on expensive or low energy efficient resources to heat and/or provide hot water. We offer these installations to remote, rural locations for farms, cottages, holiday letts, family homes and businesses. Please visit our heat pumps page for more information. Comfort heating and cooling all year round, whatever the weather. Provides clean ionised fresh air by removing air suspended pollens and bacteria. Stylish units blend in with your décor. A-rated energy efficient – cheaper than gas to run in heating mode. Not as expensive as you may think.